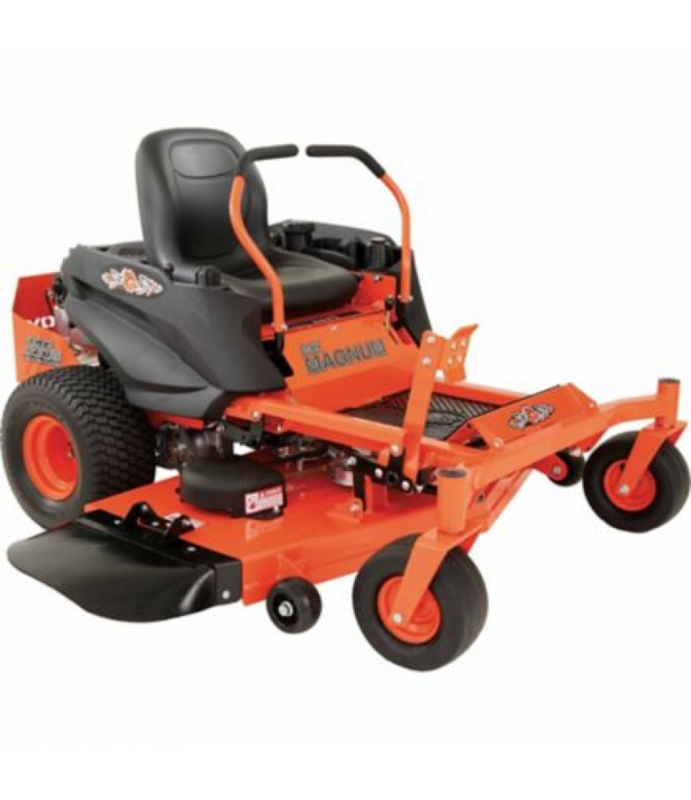 Most mowers at this price are made from flimsy stamped steel and bolted together. So if you're looking for the efficiencies of a zero-turn mower at a price that does not compromise on quality construction and quality of cut--turn to the Bad Boy MZ Magnum. With its all new, larger and stronger frame - sporting an even stronger 7-gauge all-steel, fabricated deck - the MZ Magnum is far more substantial in build quality than other mowers in this price range. You'll immediately appreciate the rock-solid, all-steel welded construction, powerful engine and 'too much fun to call it work' ride. Front Tire Size: 13 in.x6-1/2 in. Rear Tire Size: 18 in.x9-1/2 in.